we’ve acquired a lot of born-digital video files from a donor that seem to be the same content and we need to decide which ones are best to keep. One file might be compressed in a way that loses information, another might be compressed losslessly, for instance. One file might be the European standard rather than the North American one. We were able to work with sample video files that the instructors gave us. 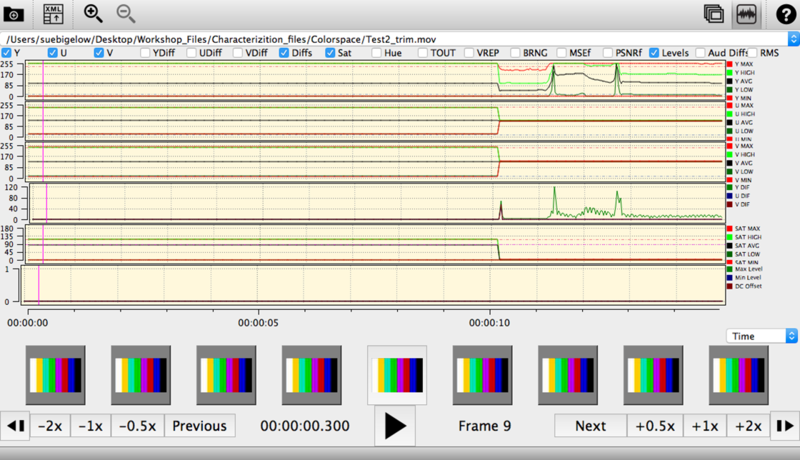 Some of the exercises produced long lists of properties and some of them produce visual representations of the video files. 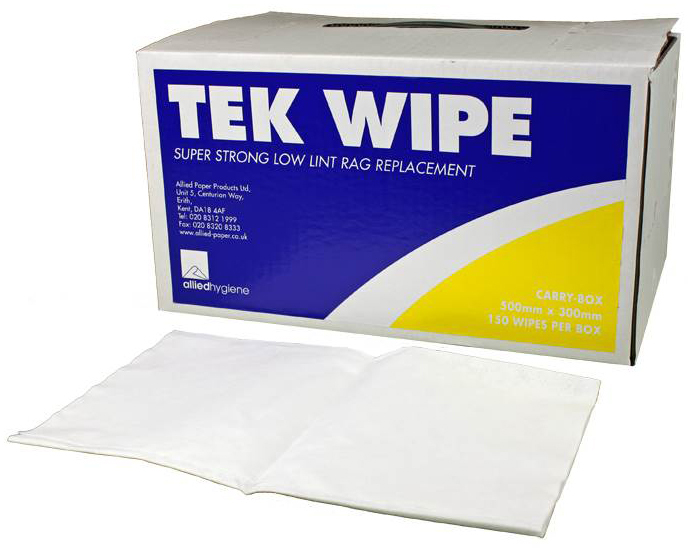 Kaslyne O’Connor gave an excellent talk on Tek Wipe, a product which has a wide range of uses in conservation. It’s recommended by AIC’s Sustainability Group because it can be re-used almost indefinitely if it’s used carefully. It’s a high-tech rag that comes in sheets or on a roll. Conservators often use tools made for other professions or industries. Kaslyne explained what the material is: a pure blend of cellulose and polyester fibres. Water jets are used to bind the fibres together (known as “hydro-entangled”). The material is extremely absorbent, flexible and washable, and can be dried to its original flat, unwrinkled state. She compared its performance to cotton blotters and Tek Wipe is far superior in wet strength, lack of permanent dimensional changes and shorter drying time. surface cleaning. It will pick up dirt from surfaces (like glass plate negatives) without leaving little fibres behind. The sheets can be dampened or wet out evenly and used to humidify many types of materials. It’s better than blotters for blotter washing or slant washing, which pulls discolouration from materials without having to immerse them. It’s also great for washing on a suction table. Kaslyne finished by presenting a few case studies where Tek Wipe had been used. An important part of solving problems is finding a common vocabulary for describing those problems. 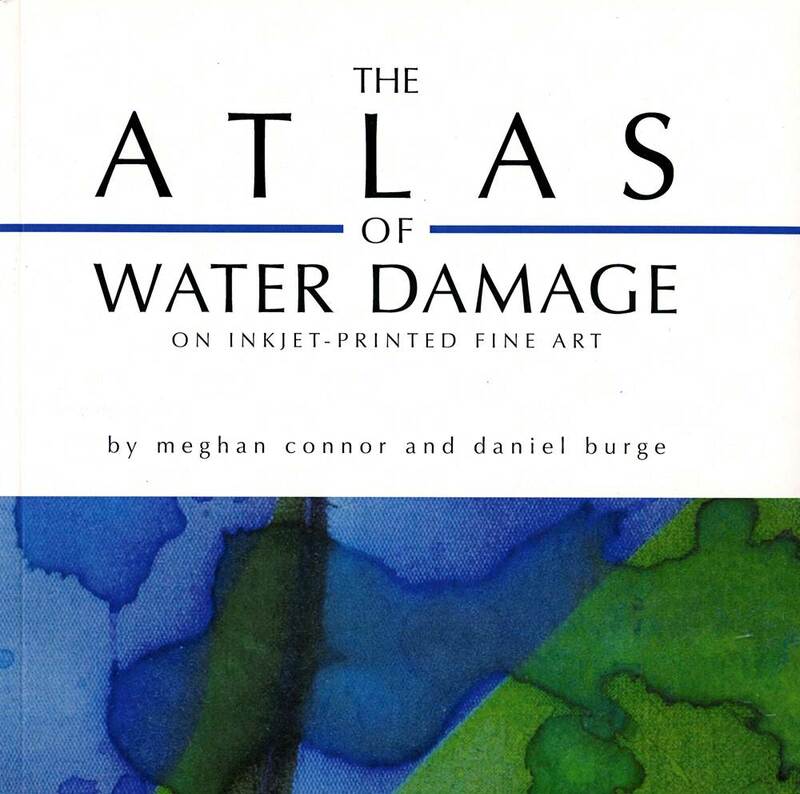 The Image Permanence Institute had the first copies of its new publication, Atlas of Water Damage on Inkjet-printed Fine Art by Meghan Connor and Daniel Burge, available at this conference. This book provides names for different kinds of damage, along with descriptions of what that damage looks like, and images at various magnifications to show the damage. 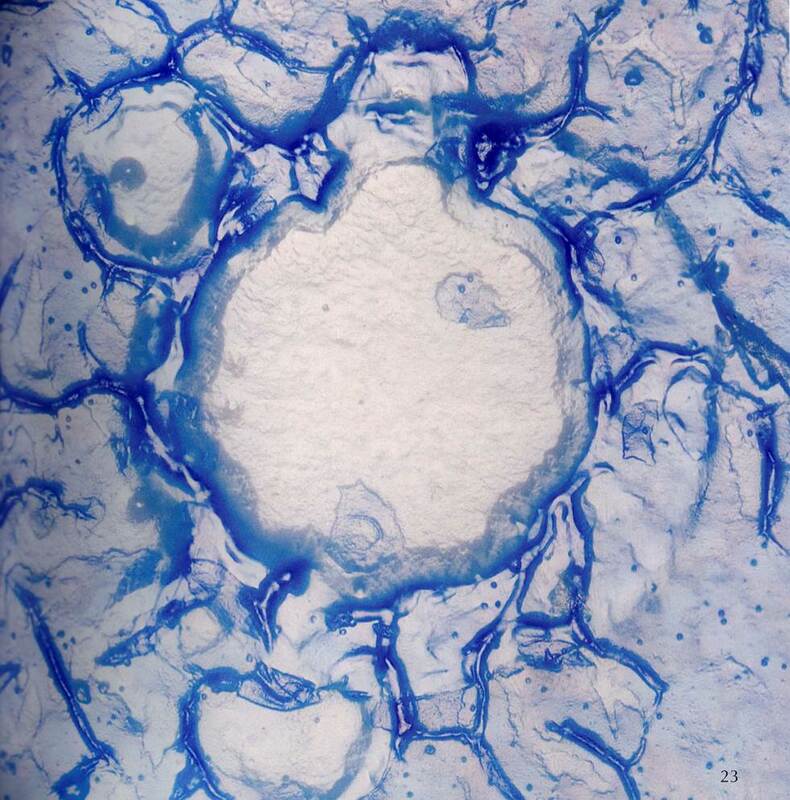 Microscopic view of blistering on a polymer coated resin-coated print. Page 23. This vocabulary applies to all kinds of inkjet media, including photographs. A book about damage could be a depressing read, but as you can see the illustrations are beautiful as well as informative. 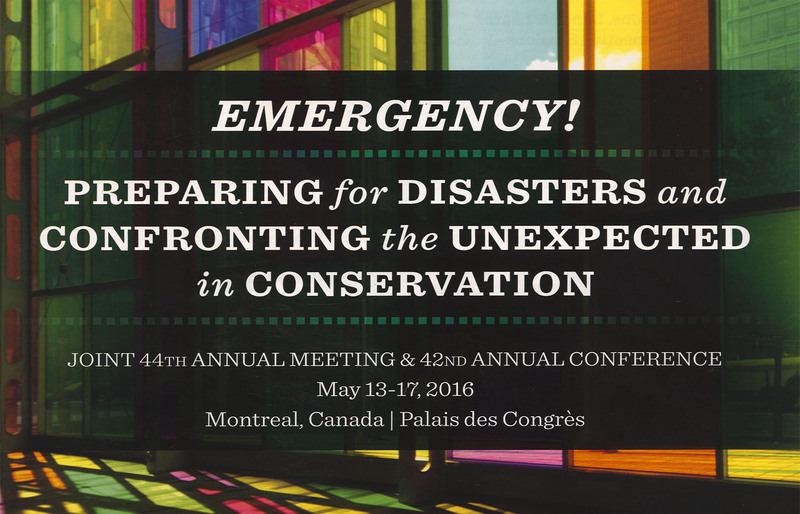 This joint conference provided us with much up-to-date and useful information as well as hands-on experience. This entry was posted in Digital Archives, Digitization, Preservation and tagged AIC, CAC. Bookmark the permalink.